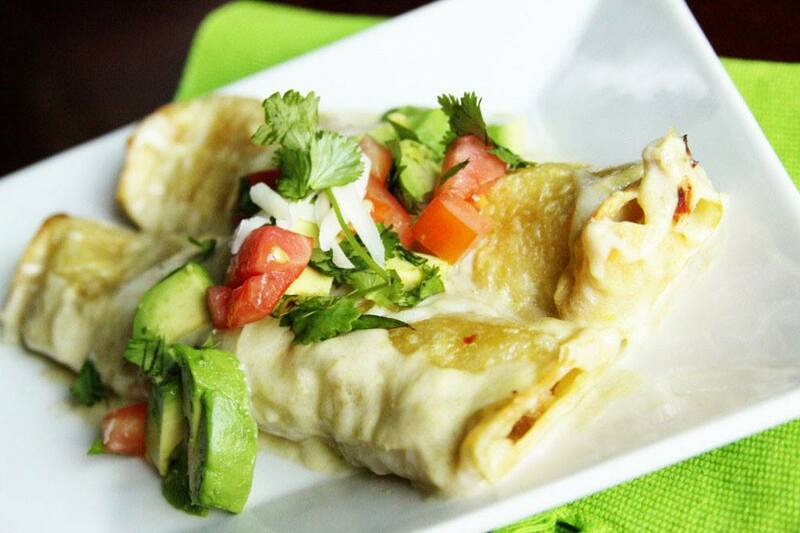 This is our favorite way to make chicken enchiladas! They are delicious. Saute onion in a little butter until it becomes transparent and soft. In a crock pot* add chicken, chicken broth, sauteed onion, chili powder, garlic, and salt & pepper. Cook on low for about 8 hours (or high for 3-4) adding more broth if needed (you don't want it to cook out completely). Remove chicken from crock pot and shred, then return to crock pot and simmer another 5 min. Drain out some of the juices (but not all of it... keep about 1/4 c.) and add honey and lime. Place seasoned, shredded chicken in a Ziploc bag and seal tightly, pressing out as much air as you can. Marinate at least 30-40 minutes.. longer if you can (I did about an hour). While chicken is marinating spray a 9x13 pan with cooking spray, then pour about 1/2 c. of enchilada sauce over the bottom. Fill tortillas with chicken mixture and shredded cheese, saving about 1 c. of cheese to sprinkle on top of enchiladas. Mix the remaining enchilada sauce with heavy cream. Pour sauce on top of the enchiladas and sprinkle with cheese. Bake at 350 degrees for 30 minutes until brown and crispy on top. Serve hot and top with your favorite enchilada toppings.